Be fascinated by the charm of Puka Beach and hike up to the breathtaking scenery at the peak of Mt. Luho. Enjoy a panoramic view of the entire island from one of the two view decks in the summit. You will also find a small zoo where different types of birds are taken care of. 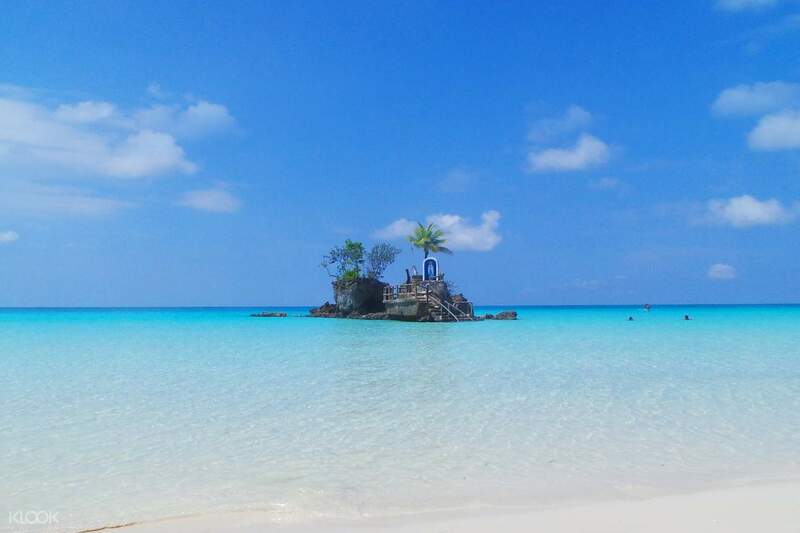 Visit some of the most famous spots on White Beach such as Willy's Rock and its grotto. 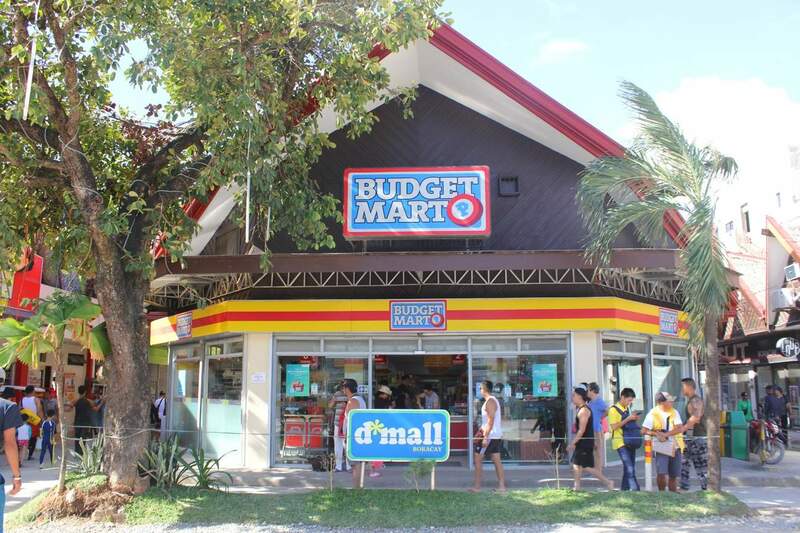 Your English speaking guide will also take you to the best shopping spot on the island, D'Mall. 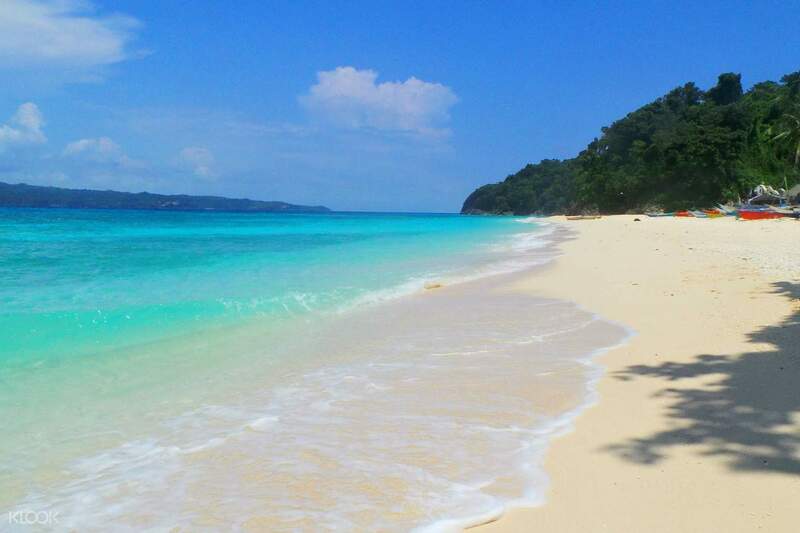 So sit back, relax, and unwind as you explore many beautiful sites found in sunny Boracay. But before wrapping up the entire tour, make sure to witness the famous White Beach's horizon as it turns into a beautiful crimson and yellow during sunset. Avail of this activity and you’re sure to have the best day on this world-renowned island paradise. okayish experience. the places covered are nice but it is extremely overpriced for the value specially if you book for multiple people. the guide gave us no information about the island or the various points. he was simply traveling with us. okayish experience. the places covered are nice but it is extremely overpriced for the value specially if you book for multiple people. the guide gave us no information about the island or the various points. he was simply traveling with us. Amazing time! Just don’t eat too much food at the free lunch bc the next island you go to the locals sell some amazing food and drinks and you won’t want to miss out! Amazing time! Just don’t eat too much food at the free lunch bc the next island you go to the locals sell some amazing food and drinks and you won’t want to miss out! The tour was good somehow. Still thankful for the half day tour. The tour was good somehow. Still thankful for the half day tour. There’s no Willy’s Rock on the itenerary. I called them to follow up for the tour instead of calling me about the tour. Upon calling, they are not even aware that i am booked that day. I was even told that I am not registered even if I have my name, booking details and klook #. The problem is on the agency itself. They are not aware about the scheduled tours for the day. If you already booked for an Island tour, its okay not to book this one. The island tour is cheaper and even have meals. This is more expensive but did not really follow what is written on the itenerary. I really feel that we really do not have any choice at that time.😏 not worth it for the price. There’s no Willy’s Rock on the itenerary. I called them to follow up for the tour instead of calling me about the tour. Upon calling, they are not even aware that i am booked that day. I was even told that I am not registered even if I have my name, booking details and klook #. The problem is on the agency itself. They are not aware about the scheduled tours for the day. If you already booked for an Island tour, its okay not to book this one. The island tour is cheaper and even have meals. This is more expensive but did not really follow what is written on the itenerary. I really feel that we really do not have any choice at that time.😏 not worth it for the price. Thank you for raising your concern to us. We sincerely regret to hear that you had unsatisfactory experience and we take your feedback extremely seriously. Your case has been noted and passed to the local operator for further investigation. Our specialist will get in touch with you shortly. Your understanding will be much appreciated. Thank you for raising your concern to us. We sincerely regret to hear that you had unsatisfactory experience and we take your feedback extremely seriously. Your case has been noted and passed to the local operator for further investigation. Our specialist will get in touch with you shortly. Your understanding will be much appreciated. I did not come to the guide and I called the bottom number (phone number) directly and came to the guide ~ I was late for 30 minutes. I did a good tour though. But the observatory did not go and went to Pu'iqua beach in 3 places. It is neither good nor bad for price. If it is your first visit, it is a good tour. ㅎㅎ I went to my parents twice and I was satisfied. 가이드가 안와서 직접 맨 아래 로칼번호(폰번호)로 전화해서 가이드 왔었어요~한 30분 지각했더라구요. 그래도 투어 잘 했습니다. 하지만 전망대는 안갔고 프라이베잇 비치만 3군데 가고 뿌까비치 갔습니다. 가격대비 뛰어나게 좋지도 나쁘지도 않습니다. 처음방문이라면 해볼만 한 투어입니다. ㅎㅎ저는 2번짼데 부모님 모시고 간거라..그럭저럭 만족했어요 그냥.